An Angry/Frustrated Blog Drop From The Uncanny Daryll B! 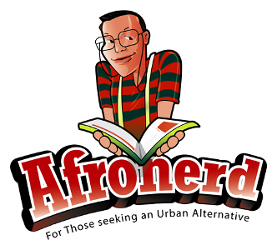 Just a Fantastic (4) Disappointment - Afronerd: The Blerd Revolution Has Begun! What is it about the original stories that you seem to hate? Why can't I ever get the essence of what I read on screen without you doing some drastic change to the mythos that is either incomprehensible or causes derision among the fanbase? The list of projects that you have done this to is extensive but after watching Fantastic Four, after seeing the Spider-Man news, sitting through Age of Ultron with a wise-cracking Ultron... I just couldn't hold back any longer. 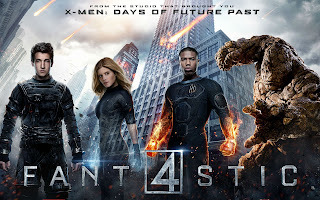 Fantastic Four is a simple prospect: the First Family of Marvel! They are explorers of the fantastic. Through them, we young Marvel fans discovered at least 70% of the Universe we know and love. We met the Kree and Skrull through their exploits. We feared the Negative Zone and Annihilus. We sat in awe of The Silver Surfer and cowered in the shadow of Galactus. Through them we actually met The Watcher and his whole race, who were cosmic equivalents of us readers at home. Marvel I am SO not letting your a$$e$ off the hook here. Without a regular Fantastic Four book for folks to read, all they have left is...this. Sigh. Why punish the diehard comic book fans for YOUR mistakes? Yes I went there... Not even a Future Foundation book on the new schedule either? What the heck? So I see everyone getting pieces of the pie but I can't have the team book that WAS a true family back? Thanx For Reading! Until Next Time Fans, Keep Fantasizing!